Are you looking for a new career opportunity? Do you have experience as an electrician? Luttrell Staffing Group in Bristol is currently hiring Electrician | Manufacturing for established company in Piney Flats! If you are looking for a new opportunity with a local established company, and have related work experience, this IS the job for you! 1st, 2nd and 3rd shift available. 40 hours per week plus overtime. Pay rate depends on experience. Qualified candidates must have at least 2 years of experience as an electrician. Electrician certification is preferred. Please click on the link below to apply, then call our office at (423) 764-1334 today! 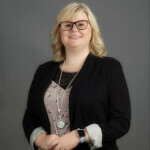 Lindsey Jenks is a Staffing Manager who works with Luttrell Staffing Group to recruit employees for her clients' staffing needs. She is passionate about making sure that she meets her clients' as well as her employees' needs. She has been a Staffing Manger for the Bristol office since February of 2016 and has been with the company for four years. Lindsey holds a Bachelor’s Degree in Business Administration from King University and just earned her CSP in March of 2017.